How are Canadians today viewing the federation? Are old fault-lines still relevant, and are new fault-lines emerging? Which values are widely shared, and which are more contested? How confident are Canadians in our ability to work through our differences? 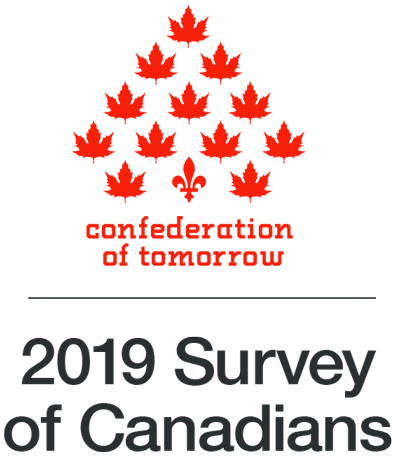 Join us to learn about and discuss the dramatic findings of a comprehensive new survey of public opinion about the Canadian federation. The study was conducted by the Environics Institute for Survey Research, the Canada West Foundation, the Mowat Centre, the Centre D’Analyse — Politique Constitution Fédéralisme, the Institute for Research on Public Policy, and the Brian Mulroney Institute of Government at Saint Francis Xavier University. Please RSVP by Monday, April 8, 2019. For more information, please contact events@mowatcentre.ca. These events are hosted by The Mowat Centre & Environics Institute for Survey Research, in partnership with: Canada West Foundation, Le Centre d’analyse politique – Constitution et Fédéralisme (CAP-CF), Institute for Research on Public Policy and the Brian Mulroney Institute of Government. The Mowat Centre would like to thank the Government of Quebec’s Programme d’appui aux relations canadiennes for its financial support of these events.